During the question and answer portion of today's third quarter earnings call, Apple CEO Tim Cook was asked about iOS in the Car, which was a highlight of the company’s keynote presentation at WWDC. Cook said that it was an important "part of the ecosystem," likening it to the App Store, iTunes, messaging, and Siri. "Having something in the automobile is very important," he said. "It’s something people want." He went on to say that Apple could "do it in a unique way better than anyone else," and that it was a "key focus" for the company. 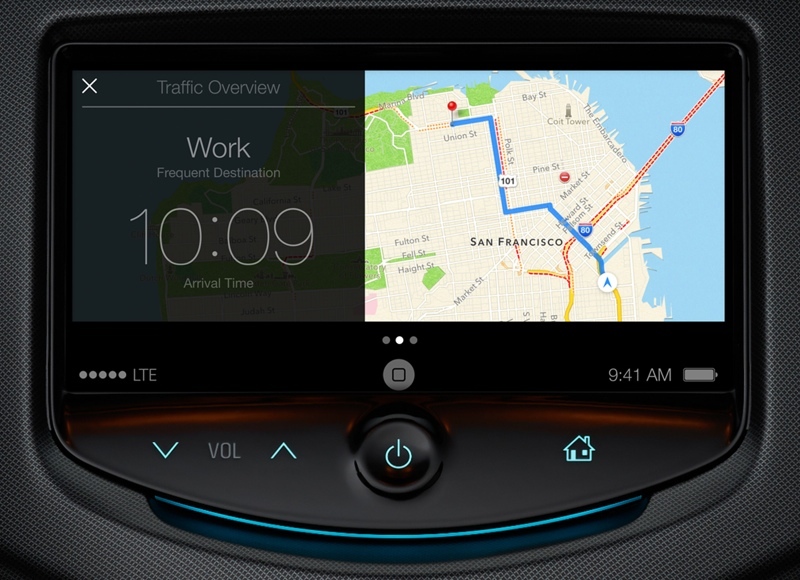 iOS in the Car is designed to provide enhanced iOS integration in automobiles, offering hands-free controls that allow drivers to access maps, get directions, and control music by displaying content on the navigation screen of the car. The feature is expected to be integrated into a number of new cars in 2014, from manufacturers like Honda, Acura, Mercedes-Benz, Nissan, Infiniti, Ferrari, Chevrolet, Hyundai, Kia, Volvo, Opel and Jaguar. According to settings hidden within iOS 7, iOS in the car may potentially work over AirPlay in addition to USB. iOS in the Car will be officially unveiled later this year alongside the release of iOS 7. Last year, Apple debuted Siri 'Eyes Free,' which made its first appearance in the Chevy Spark and Sonic cars earlier this year. What isn't 'Very Important' to Apple ? Everything apple makes is 'Very Important' to Apple. LOL. They should probably fix maps first. Would like to see them partner with some companies making replaceable head units, too, rather than having to buy a whole new car just to get this sort of thing. Come Audi, join the club! I don't see Lexus/Toyota on the list. iCrash - Can't wait to have my first Apple Wreck playing with all the new stuff in my car at 80mph. What does the picture in the article look like Android so much? I'm hoping I can get this in my Tesla as an optional feature that can be easily disabled. Notably absent is Ford who originally worked with Microsoft for their in-car system and now is trying to do it on their own instead of pairing with iOS. Ford has even been sued for how awful their system is with constant crashes and problems. Why would you want to buy a new Ford anyway? They're pathetic heaps of s***. NOTHING like the 'old' Ford, like pre-2000. Well, they are in Britain anyway.